Greece needs to return to the path of tough economic reforms to secure its future in the eurozone, German Chancellor Angela Merkel said Thursday. 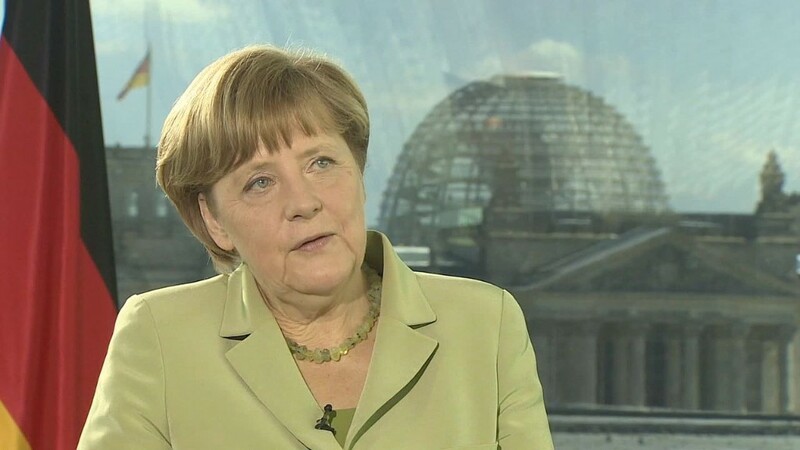 Speaking to CNN after hours of talks Wednesday between Greece and its creditors failed to produce a breakthrough, Merkel said a solution to the current crisis needed "big efforts" by both sides. But she made clear that Greece should look to the example of other countries in the eurozone -- such as Ireland -- that had implemented painful changes to their economies in response to the financial crisis. "They went through such a program and now have the best growth in the eurozone," she said. "That is the kind of course Greece needs to get on. And that is why the negotiations are tough, but they are clearly aimed at keeping Greece in the eurozone." Merkel hosted an emergency session of talks with French President Francois Hollande, ECB President Mario Draghi and the head of the International Monetary Fund Christine Lagarde in Berlin Monday. They agreed a proposal to solve the Greek crisis, which was put to Prime Minister Alexis Tsipras in Brussels on Wednesday. Tsipras came to the meeting with his own proposal. There was little evidence that the talks produced major progress on the big stumbling blocks. Greece has to pay the IMF 300 million euros ($336 million) on Friday, and about 1.6 billion euros in total this month. But Athens is running out of money. Its current international bailout program expires at the end of June. Without access to the remaining 7.2 billion euros ($7.9 billion) in bailout funds, it may not be able to continue to pay wages and pensions, as well as its creditors. It only managed to stay afloat last month by raiding its emergency reserves, and forcing local government and other public bodies to hand over cash. Without the bailout cash Greece will be forced into default, and could stumble out of the euro. CNN's Ivana Kottasova and Chris Liakos contributed to this report.